First cut a 5 3/4" x 9" piece of Stampin' Up! Metallic Silver card stock and fold in half for the base and a 4 1/4" x 5 1/2" piece of white card stock for the front. Then punch the sentiment background with a Fiskars Scalloped Oval punch and cut out the oval with a Spellbinders Classic Ovals die. 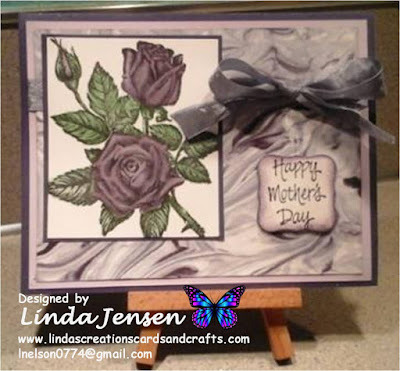 Next emboss the white card stock with a Stampin' Up! 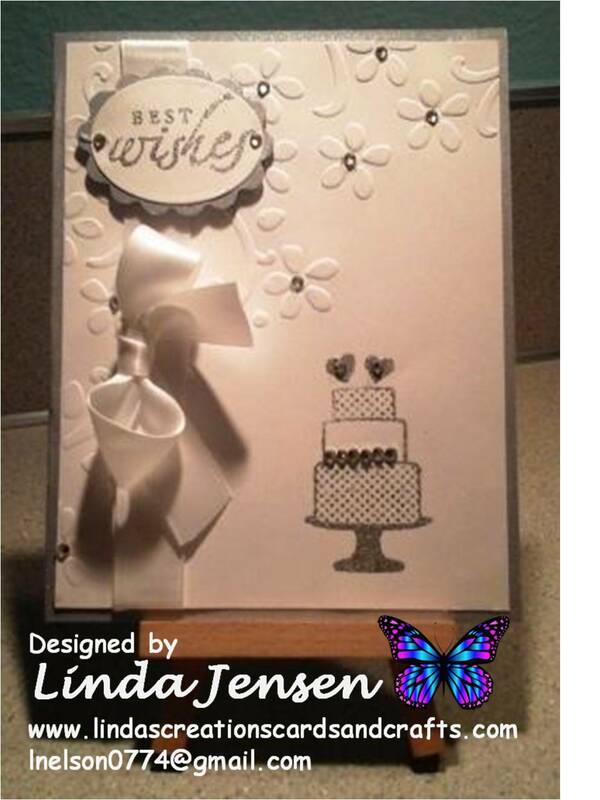 Elegant Bouquet embossing folder. 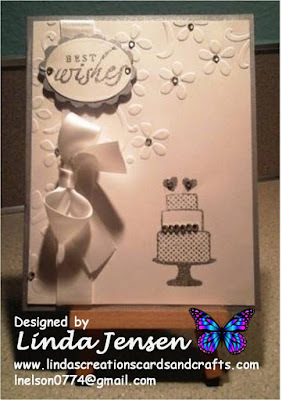 Then using a stamp a ma jig heat emboss the cake, hearts and sentiment (use Stampin' Up! Sincere Salutations stamp set) with Versamark ink and Ranger Silver Tinsel embossing powder. Next add the white ribbon, attach the sentiment to it's background then to the front, apply the self-adhesive rhinestones, attach the front to the base and enjoy!